“One year, we could not find any DAP* in the local market. We went in search of it everywhere, but we found nothing. It was a very poor harvest that year, even though there were good rains. We had become dependent on outside sources for our needs,” explains Rajamma, a trusted community member in Kulumedoddi. This dependency on external sources for inputs of farming had left her and her family vulnerable to fluctuating markets, weakening their livelihood security. For years, farmers in Rajamma’s community would buy hybrid varieties, “We used to wait in long queues to buy ‘packet’ seeds every year during sowing season,” she recalls. The problem with ‘packet’ (hybrid) seeds, she adds, is that they cannot be saved from year to year. Community members in Kulumedoddi report that changing cultivation practices over the years resulted in a loss of indigenous varieties in the area. As farmers reverted to the use of hybrid varieties, seed conservation practices slowly began to disappear. This affected the food security of community members, most of whom are subsistence farmers cultivating crops for family consumption. “In the olden days, there used to be many different seed varieties. If a 6-month crop failed, we had a fast-maturing, 2-month crop that we could grow for our families,” explains Shivrudraiah, a noted community leader in the area. Once a Community Seed Bank (CSB) was established in Kulumedoddi through GREEN’s initiation, it provided farmers like Rajamma access to good quality seeds within their own community. CSBs give farmers free access to seeds upon the condition that they return twice the amount they borrowed. “I’ve been using the CSB for seed exchange since it was started,” says Rajamma. As she explains, the CSB means that she no longer has to wait in long queues for seeds that may not be available; it means she saves money because she does not have to buy seeds and very importantly, it means increased food security. “Indigenous varieties don’t need much water and they are resilient to climate change,” says Rajamma. These varieties also strengthen the nutrition security of her family. “They have many nutritional benefits which are not there in hybrid seeds.” She can now pick and chose from a variety of indigenous seeds, those cultivars that are best suited to her family’s needs. The activities of the CSB propagate good seed management practices within communities. For Rajamma, good seed management and conservation also addresses economic concerns, “Only when we have good seeds for good harvests can we have good savings,” she says. Indigenous seed varieties also respond well to low-cost organic inputs, which cuts down costs of cultivation for farmers. 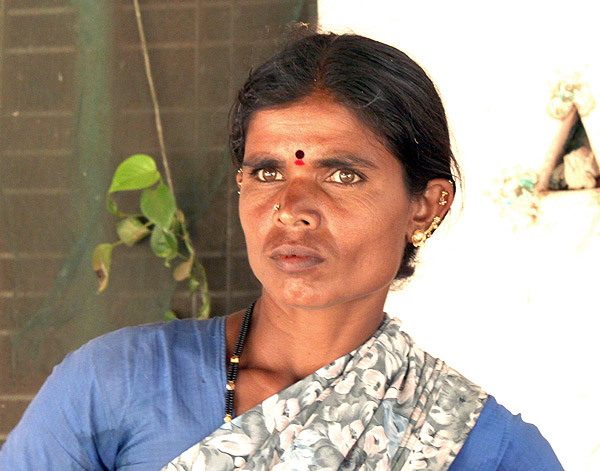 Rajamma now involves herself in the day-to-day management of the Devaralamma Community Seed Bank of Kulumedoddi. Each CSB has a Community Seed Bank Management Committee, which is responsible for keeping track of seed transactions, proper seed storage, disseminating knowledge of good seed management practices etc. Members are trained by GREEN in proper record keeping and maintenance of CSBs. This training has, in particular, empowered women farmers in the area to become more involved in decision-making processes in their communities, leading to more efficient resource management of their farms. Increased cultivation of indigenous seeds through GREEN’s intervention activities has lead to increased demand for these varieties in surrounding areas. So much so, in fact, that farmers are now ordering seeds from the CSB months in advance of sowing season. One of the biggest reasons for this is also the fact that indigenous seeds respond well to low-cost organic inputs that can be prepared at home, leading to greatly reduced dependency on chemical fertilizers such as DAP. Now, whether there is DAP in the market or no, there is a very strong likelihood that the harvest will be good for Rajamma.